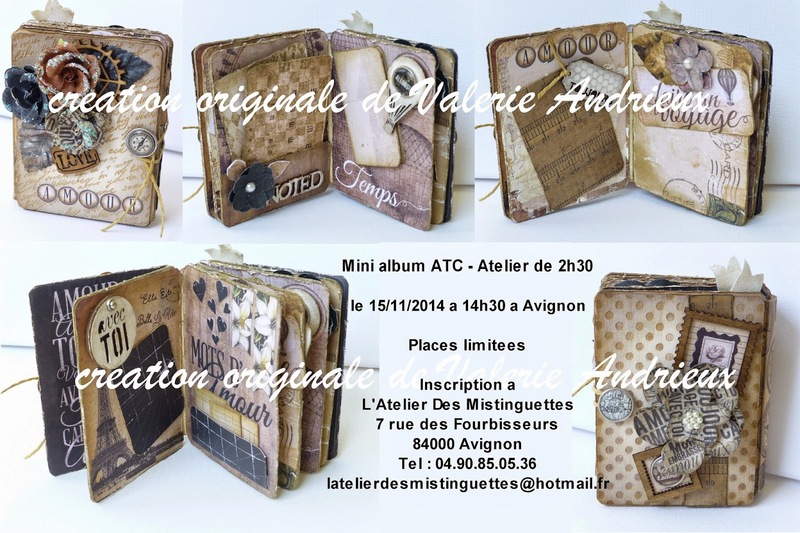 I will teach how to create a mini ATC album in November, for those living near Avignon, France. I created it exclusively with Prima Marketing products, and those will be included in the class fees. I know most of y'all are to far away to come, but maybe I will see some of you soon ! Gorgeous! Those are some lucky class participants. This is utterly amazing! !